A question is coming more and more often to our ears: which forum software should I use if I want to make it available and compatible with existing smartphones, and more particularly my iPhone, Android, BlackBerry, etc. This question could now be solved easily by reading our forum reviews or by comparing forum. 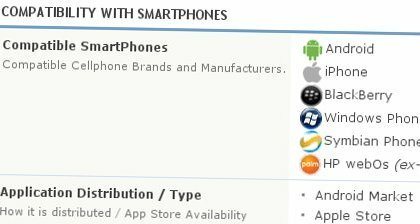 You will find on the first page of each review, just above Client Requirements, an new section listing smartphone operating systems compatible with your forum, and if it exists, the way the application is distributed (through an App Store, or directly as a classic Web application, or even an HTML5 app). A small paragraph will also describe the available applications on each existing platform. By the way, we updated the most known forum software reviews to append this information, and we suggest you to consult these reviews: Simple Machines 2, phpBB 3, Invision Power Board or vBulletin. MyBB is another smartphone compatible (free) forum software.